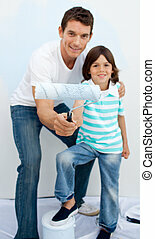 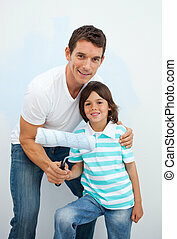 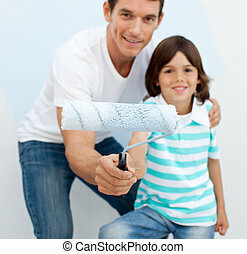 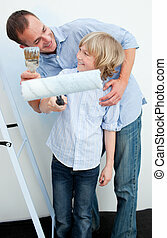 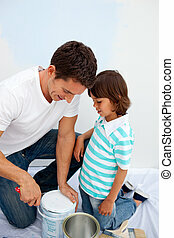 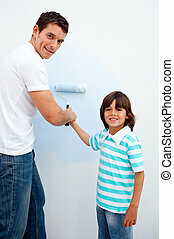 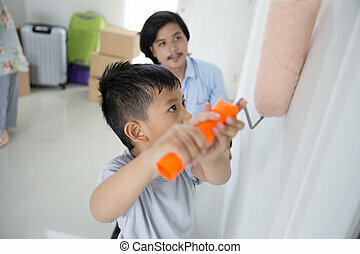 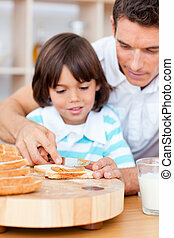 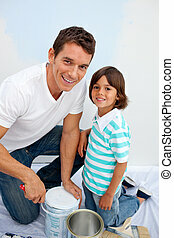 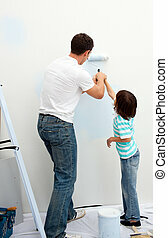 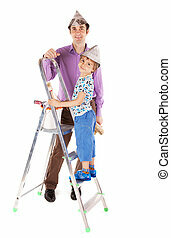 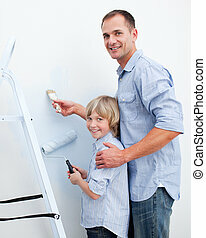 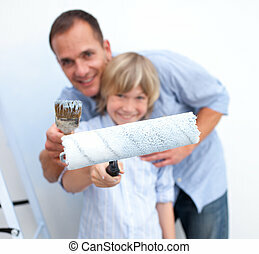 Lively father and his son painting in their new house after move in. 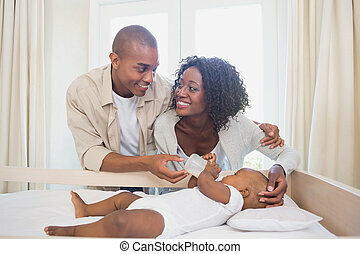 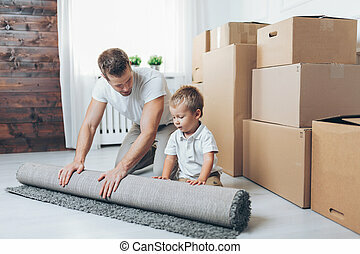 Father playing computer games with his little son while lying on the floor in their new house or apartment. 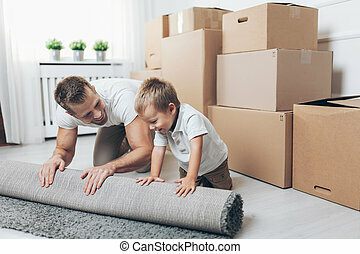 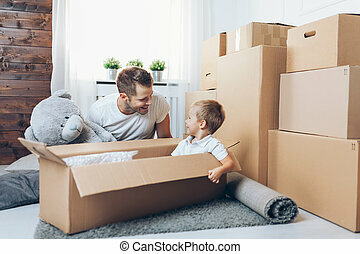 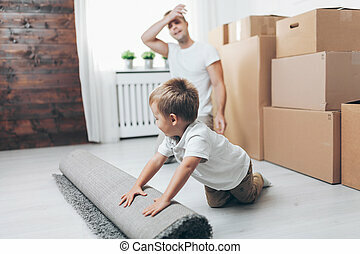 Father and his son looking into laptop computer's screen and lying on the floor in their new house or apartment.